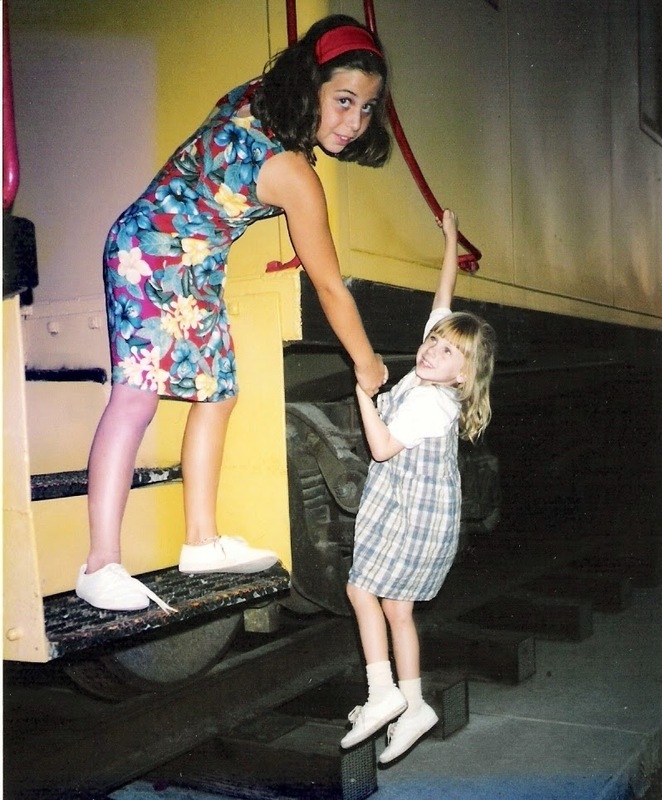 My sister and I (circa 1996). I saw this fascinating NPR article the other day and had to share! It's about parenting techniques and traditions around the world and how they vary. I had previously read about babies in Denmark being left outside shops or restaurants in their strollers to nap but I hadn't heard about a few other things listed. Babies out of diapers at 9 months old? 4 year olds taking the subway alone? It's so interesting to read about what the norm is in other countries and what is considered safe, dangerous, good, bad, etc. I don't think I would've been able to find my way on the subway as a small child, but maybe if I had been taught how to ride it at a young age, I would've been able to figure it out. What do you think about all of this? I'm trying to decide what surprising or shocking parenting thing the U.S. would be known for. Maybe kids going to bed really early? Or children eating a lot of fast food? I'd be interested to hear people from other countries weigh in on this! I can't wait to read this article! We just moved to France with our three kids and I am curious to discover how it influences our family. Cheers! That's so cool, Anna! I hope you all have a wonderful experience in France. It's so interesting to find out about the similarities and differences people notice when raising a child in another country!